Yoox Net-a-Porter (YNAP), the world’s leading online luxury fashion retailer, is the first major office letting in the MediaWorks building at White City Place taking 70,000 sq ft of office space as a cutting edge Tech Hub. YNAP’s new office will accommodate up to 650 members of the global technology team, bringing all its UK technology teams into one location. White City Place is a new business district covering 17 acres in regenerated White City. Totalling 900,000 square feet of office accommodation, it is designed for the modern creative business with 3 buildings available to let - The MediaWorks, The WestWorks and Garden House. White City Place is positioned at the centre of a number of powerful networks – it is networked for creative thought. The MediaWorks is the second of three buildings under redevelopment at White City Place and will provide 230,000 square feet of office space along with 15,000 square feet of retail and restaurants. 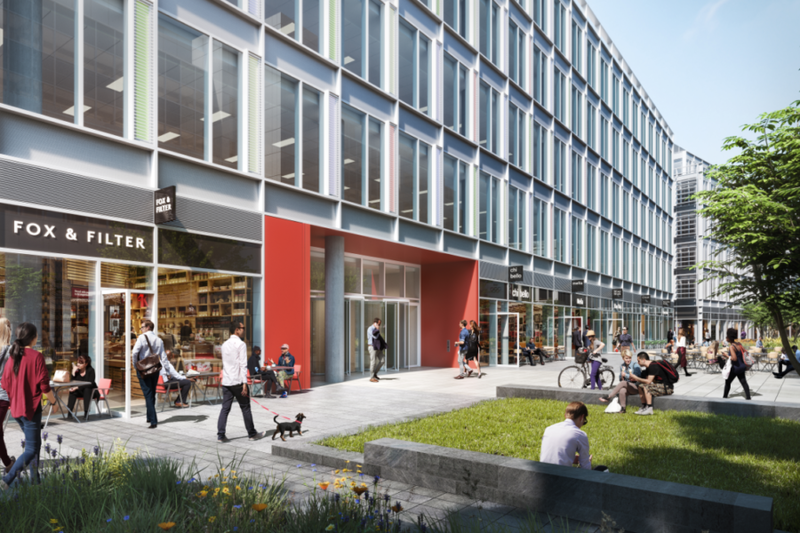 YNAP will be able to take advantage of the superfast IT network broadband connections, great transport links and exciting new independent restaurants and cafes and public space that White City Place will soon provide. 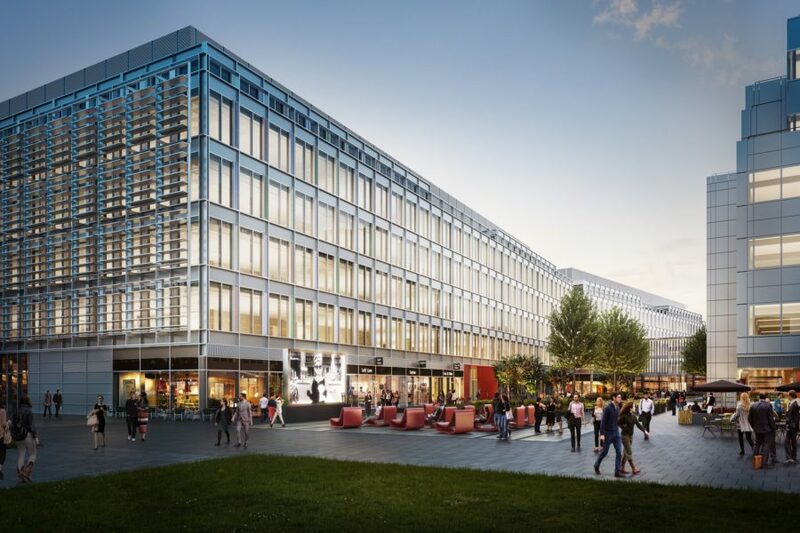 The MediaWorks is the second of three buildings under redevelopment at White City Place and will provide 230,000 sq ft of office space along with 15,000 sq ft of retail and restaurants. White City Place is situated at the centre of important transport, social, brain, and technical networks, 12 minutes to Bond Street, with more than three thousand BBC staff already on site and adjacent to the new Imperial College White City Campus. White City Place was the original home of the Franco-British Exhibition of 1908, which created a vast complex of white pavilions and pleasure parks in Wood Lane and which gave the area its name of 'White City'. The site then provided the home for the 1908 Olympics stadium, the first Olympic Games to be held in the UK.